October 26, 1922 – Brigadier General Van Horn Mosley, the commandant at Fort Sheridan, announces that the investigation into the bombardment of the Lake Forest estates of Francis C. Farwell, Mrs. Edith Rockefeller McCormick, and Cyrrus H. McCormick has been closed.. A day earlier a squad from the fort had been conducting a drill with a “one pound gun” and “instead of firing into the lake … trained the gun up the beach.” [Chicago Daily Tribune, October 27, 1922] Shells ricocheted off the beach to the north and into the Farwell mansion with one shell piercing the roof and a second hurtling through a bedroom while two more travelled through the mansion’s basement. “Other shells plowed up the lawn on the estates of Mrs. Edith Rockefeller McCormick and Cyrus H. McCormick and J. Ogden Armour, but did little damage.” The shells stopped falling only after Mrs. J. V. Farwell called Fort Sheridan, and a group of officers was sent to investigate. Mosley refused to provide the name of the officer responsible for the bombardment, saying that “he was a capable and efficient officer and that to broadcast his name would only serve to destroy his usefulness to the government.” Mrs. Farwell, who had seen one of the projectiles pass over her head and into a ravine, expressed her sympathy for the officer involved. 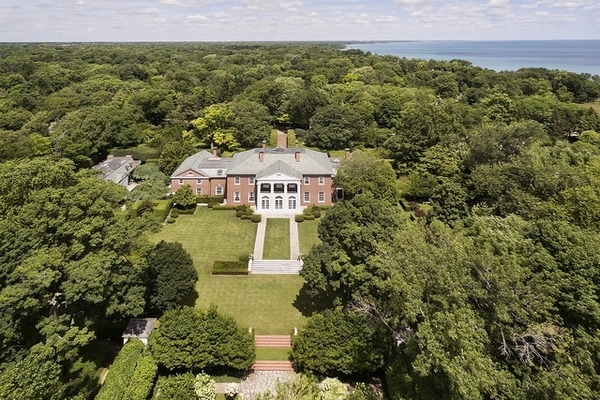 The Farwell estate is shown as it appears today in the above photo. 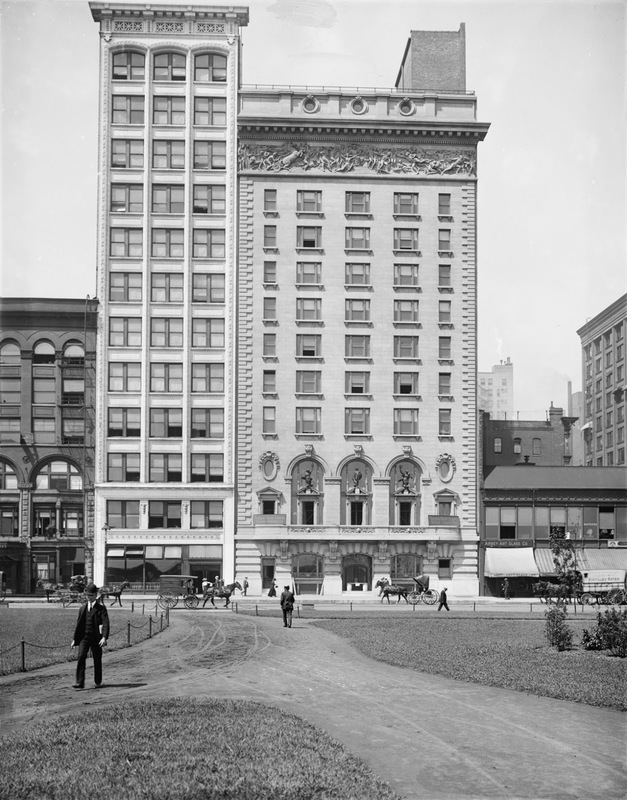 October 26, 1905 – A crowd of several hundred people watches as the cornerstone for the new Illinois Athletic clubhouse on Michigan Avenue is laid. The president of the club, Second Ward alderman William Hale Thompson, introduces the current mayor, Edward Dunne, who with a silver trowel in one hand, touches the cornerstone twice with a silver mallet. The dignitaries move across the street to the Art Institute’s Fullerton Hall where “addresses prophesying a bright future for the young club” [Chicago Daily Tribune, October 27, 1905] are made. Colonel Frank Lowden, who in the future will become a U.S. representative from Illinois and, later, the state’s governor, says, “The poor man with health and physique is far richer than the millionaire with dyspepsia. Health is a man’s chief asset. Men live cleaner and better lives if they are addicted to athletics. Nothing means more to Chicago morally or physically than the institution which tends to promote the resources of the body.” The building, designed by Barnett, Hayes, and Barnett, will cost a half-million dollars to complete. Eighty years later $25,000,000 will be spent on a six-story addition, and in 1992 the Art Institute of Chicago will purchase the structure. 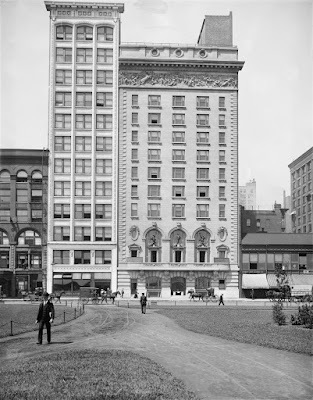 In the 1910 photo above the Illinois Athletic Club building stands to the right of the Lakeview Building.